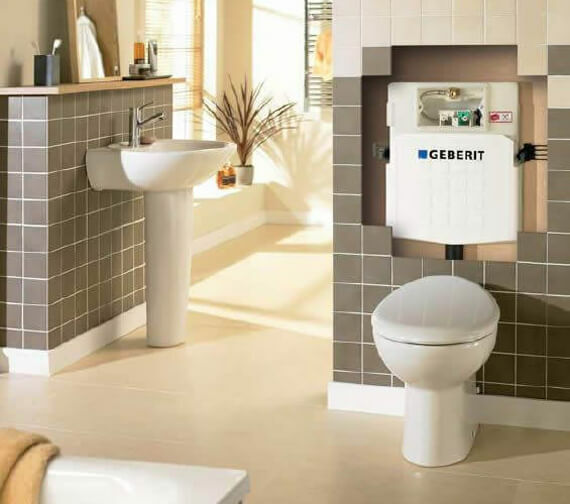 Geberit presents a supremely practical and enchantingly allure, Dual Flush WC Cistern. This white finished, concealed cistern can be a splendid addition in bathrooms that prefer to save water. 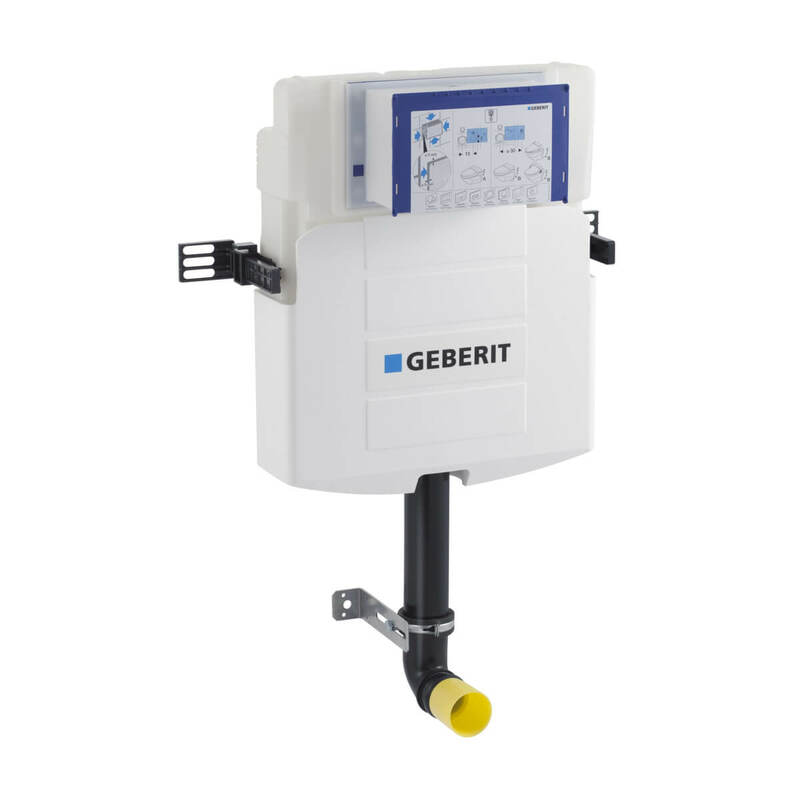 Smart features coupled with outstanding reliability, make this cistern, best value for money. Available at marginal cost from QS Supplies, this concealed cistern, can be all yours, instantly. Please refer installation guide PDF from below for more instructions. For installation in part- or room-height prewall installations. 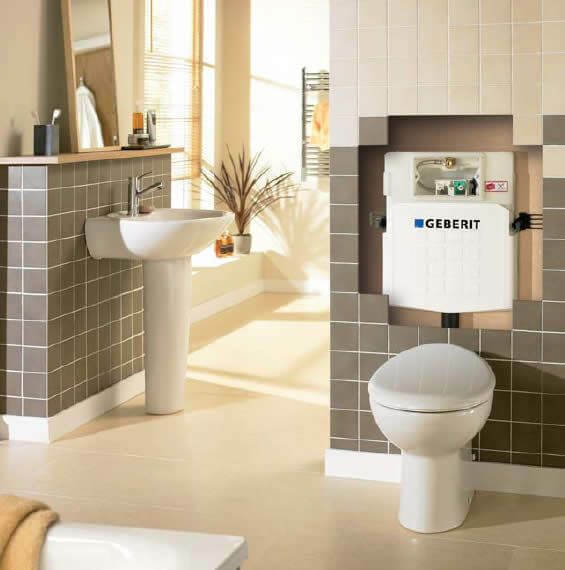 Please Note: Must be used with pans designed for low volume flush, Flush valve features settings to enable either a 6 l and 3 l flush or a 4.5 l and 3 l flush, The cistern can be operated with used water (rainwater) provided it is passed through a filter system first. Quick efficient ordering and delivery service. Helpful staff. Easy to install. 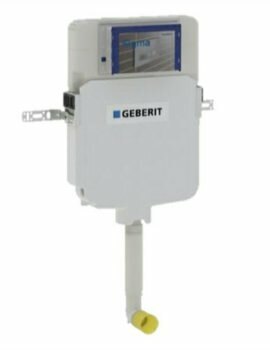 I see on the data sheet for the Geberit QS-V39530 that the height of the unit once installed is 108cm from the floor. I am wondering if this is a fixed height as I would like our boxing in to be shorter than this. Can the black flush pipe be adjusted to make the unit closer to the pan and therefore reduce the overall floor the top of boxing in height? Sorry for the delay responding, the flush pipe to be reduced by 8.5cm as per technical drawing of the cistern. You Can Download the Product details and Technical drawing PDF from the link below. Hi, can this be used with wall hung toilets or just back to wall? Please Send the MFC/QS Code of Product to wish to use with Sigma 12cm UP320. Looking at the line drawing of the product we can tell you the compatibility status. Can I use Geberit sigma concealed cistern 12cm 9.0 UP320 109.300.5 with Phoenix Megan back to wall pan? The Sigma cistern is compatible with this back to wall pan. Turn off the supply of water to your WC, if you have a concealed cistern there should be an internal isolation tap inside your cistern which only cuts off the water to the toilet. Leave for 15-20 minutes and check to see if water is still running into the pan. Water is escaping underneath the flush valve even though the valve is closed. 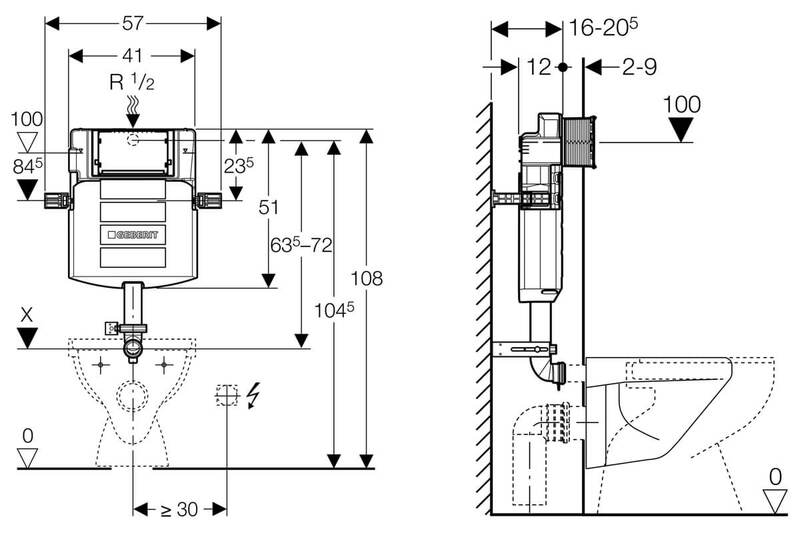 It is most likely that the flush valve seal has become compromised, remove the flush valve (the valve in the centre of the cistern) and check the bottom for the seal. The cistern does not know when to stop filling, so it fills up too much and the water trickles over the overflow pipe. It is most likely that the fill valve seal has become compromised, remove the fill valve (the valve at the side of the cistern) and check the blue arm for the seal inside.